Hula Boba at 885 Kamokila Blvd in Kapolei, Hawaii. Bubble tea with customized do it yourself toppings. I really wanted to try the li hing mi flavour, but unfortunately they were out, so I settled for pineapple. The pineapple green tea was good and refreshing, but nothing out of the ordinary. I did like how they let you customize the sweetness level. The best part of Hula Boba was their toppings bar, think Menchie’s but with bubble tea fillings like pearls, jellies, and popping boba. I loved how I could get a bit of everything since most place only give you one type. 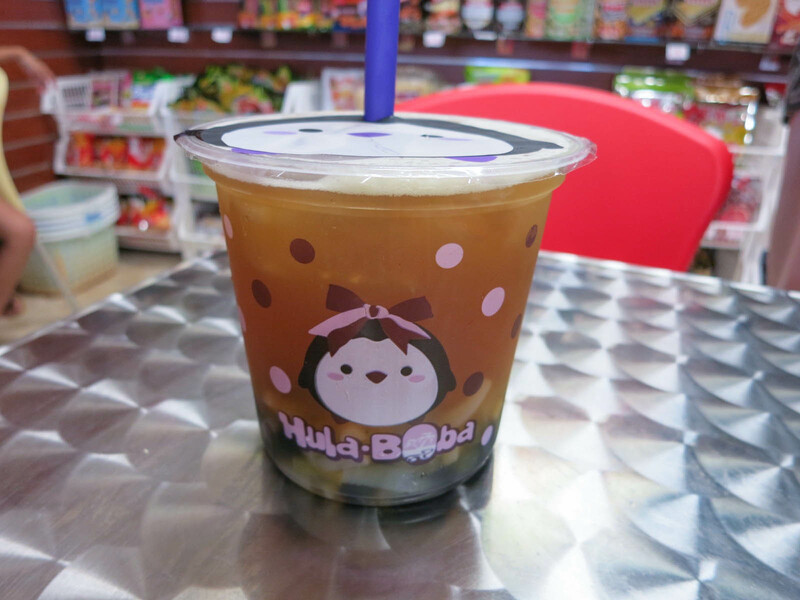 Hula Boba is a fun bubble tea spot to check out to take advantage of their “do it yourself” toppings.